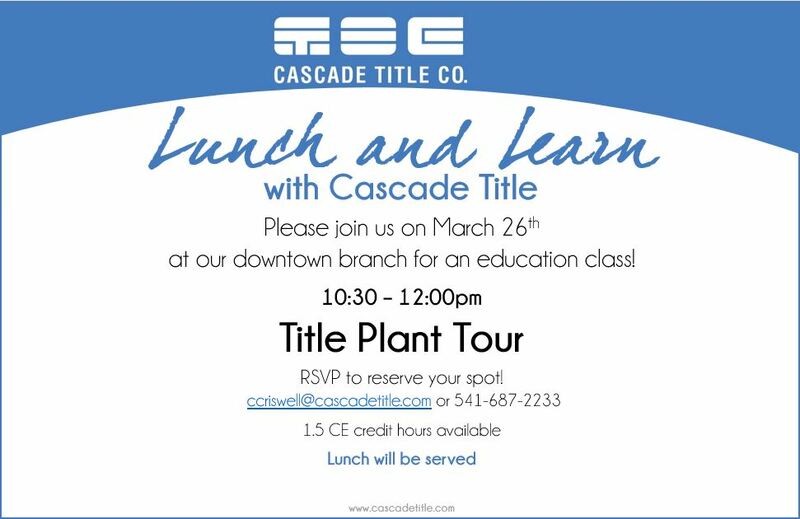 Please join us on March 26th at our downtown branch for a Title Plant Tour! 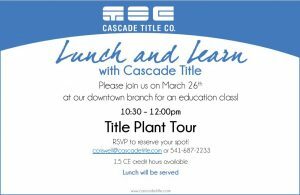 RSVP to ccriswell@cascadetitle.com or by calling 541-687-2233. 1.5 CE credit hours available. Lunch will be provided.